We are looking foa an apartment close to the UNIVERSIDAD AUTÓNOMA DE GUADALAJARA. My nephew will start school on July, 2009. We will be traveling during the first week of July for inmediate occupancy. This will be a monthly rental. Busco un apartamento para rentar que este cerca de UAG (la universidad autonoma de guadalajara. Mature older medical student to start in July 2011 looking for a one bedroom apt within walking distance to UAG medical school. seeking 1 bedroom, furnished apartment or studio. must be in zapopan, close to UAG (universidad autonoma de guadalajara). would like to view from 21-28 may, 2010. 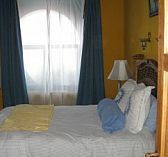 Hola - I'm looking for an apartment in Guadalajara - one or two bedroom - would prefer something quiet. Thanks!